Event downtime > nothing to post about > time to make a vid. I captured this run a while back, but it got lost in the shuffle due to 3x madness. Ishida Mitsunari: A New Meimei System Leader? Active: Change board to wood, dark and hearts. Two-turn haste. 13-turn cooldown. Leader: 1.5x HP for Attackers. 4x ATK for Attackers after using a skill. He looks like a solid leader alternative to Zuoh for the Meimei System. When paired with another Ishida, this two-turn haste still enables a full-board change every turn even though the cooldown is 13 turns. The biggest downside is his inferior 16x ATK bonus. However, his HP bonus does enable the full System team to enter dungeons where prohibitive preemptives — read: Divine Queen Hera — that would otherwise require swapping out a Meimei for a damage shield. It’s also possible to use him as an alternative sub to Meimei since his board also creates hearts. This gives the team a chance to heal in dungeons with multiple preemptives without otherwise missing a step. He does break the system, though, but the team can still get a board change for 10+ turns which should be good enough in most situations. In short, it looks like this guy can be a nice complement to existing Meimei Systems, but he isn’t essential. I think his 16x ATK bonus in particular will prevent him from from replacing Zuoh. Ishida may be on-color, but he doesn’t bring any TPAs to help bridge the damage gap further. 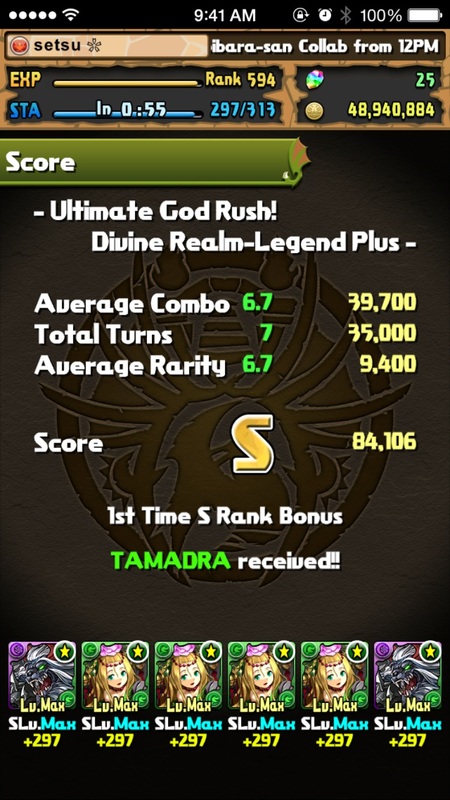 I recorded all the feeds then ran God Rush with the team. Meimei System Milestone – All +Eggs Acquired! Now all the pieces are in place to hypermax the team day one. 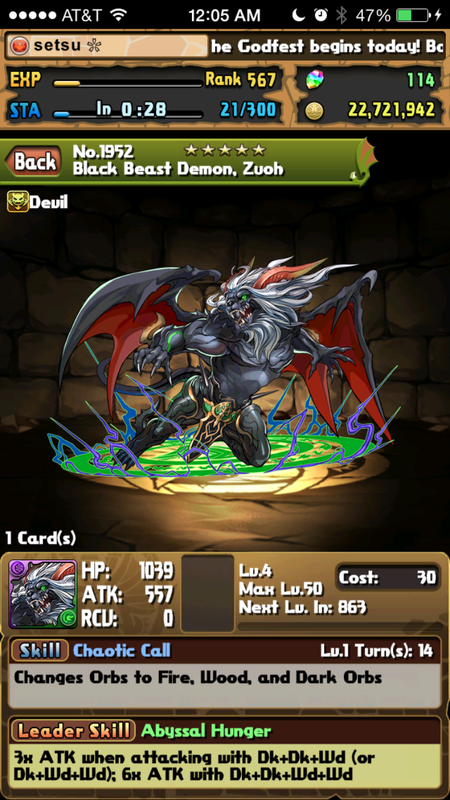 With today’s urgent Guan Yinping Descended, I was able to gather the last evo mats for all my Meimeis. 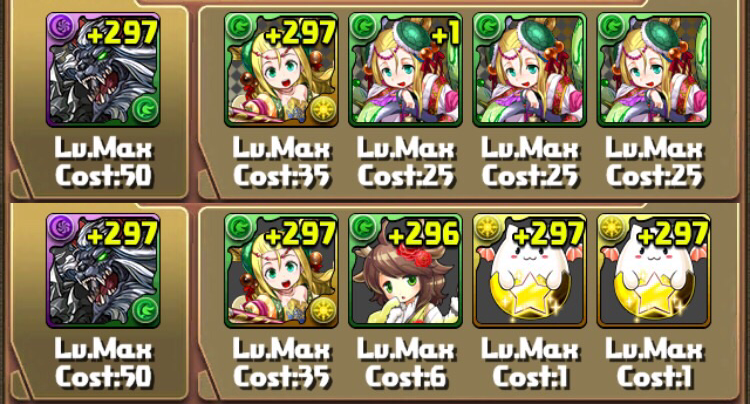 With enough +eggs also gathered, all I need to hypermax the team day one are some Tamas which I’ll get through the coin dungeon, if it comes to that. …But I got Zuoh on my third roll, the only thing I really wanted from the REM (yeah, I totally would hate a third ROdin if you were listening, GungHo Desire Sensor). I really don’t want to edit a 30 second long video, so you get this screenshot instead. What am I going to do with the remaining stones? Well, I’d like to +297 the entire Meimei System, so there’s that. I still want a Cao Cao. The Batman Collab is likely coming in a few weeks too. Outside that, I look forward to never rolling Kaede when the new dragoncaller GFEs make their way to NA.